I think my instagram and twitter followers now know that I have an addiction. It’s an incurable disease and I’m not alone. I dream about it, I plan about my next attack at it. If I don’t have it once a week, I get the shakes. Yes, folks. It’s that serious. Me and my fellow blogger friends are addicted to op-shopping (thrift shopping). Turning into junkies and contemplating what our next ‘shoot’ will look like, what vintage plates and cutlery to use, which cake stand to display. It’s all gotten a bit out of hand to be honest. However, it’s a happy problem to have and my collection of cool vintage finds is growing. The additional fun thing to do on an op-shopping road trip is that we get to dine at the local area we happen to be in. 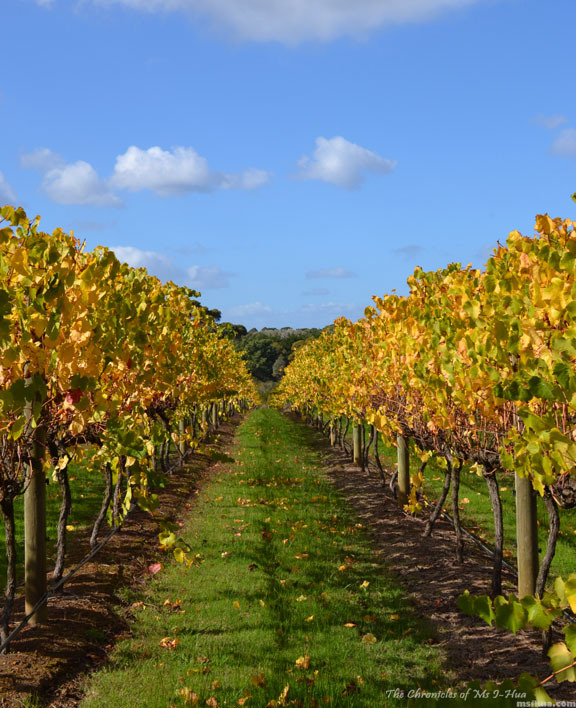 On one such op-shop road trip occasion, Maz, Az, Taz and I found ourselves at the beautiful Barmah Park Vineyard & Cafe at Mornington Peninsula. We couldn’t help ourselves in taking scenery shots the moment we got there, as it was just magnificent. 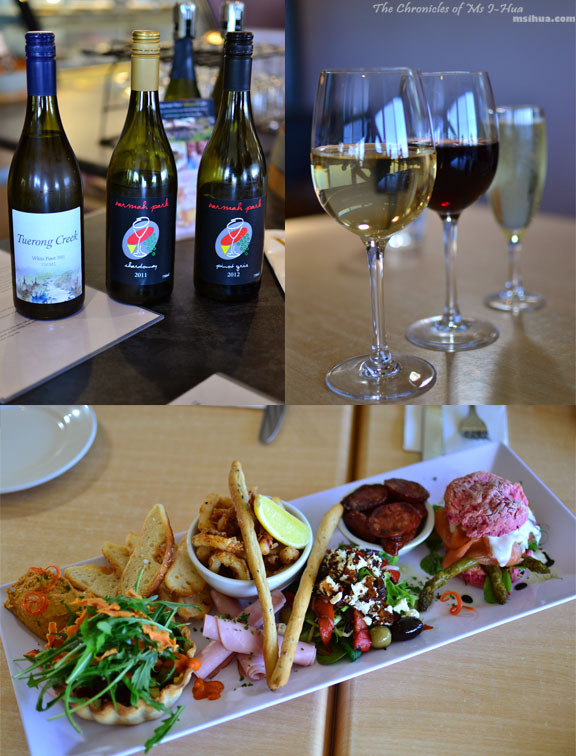 As we were invited by the team at Barmah Park, we were provided with wine tasting prior to our lunch. The wines we tasted included the White Pinot (Tuerong Creek, 2011); Chardonnay (2011); Pinot Gris (2011); Pinot Noir (2010); International Reserve Pinot Noir (2010); Cabernet (2011). All the wines bar the white pinot were from the Barmah Park estate. We had to share the Barmah Park Meze (Plate for Two) which included a truckload of food. There was salmon scone, gypsy ham, chorizo sausage, baked tart, Mediterranean vegetable salad, a dip, handmade grissini & toasts. 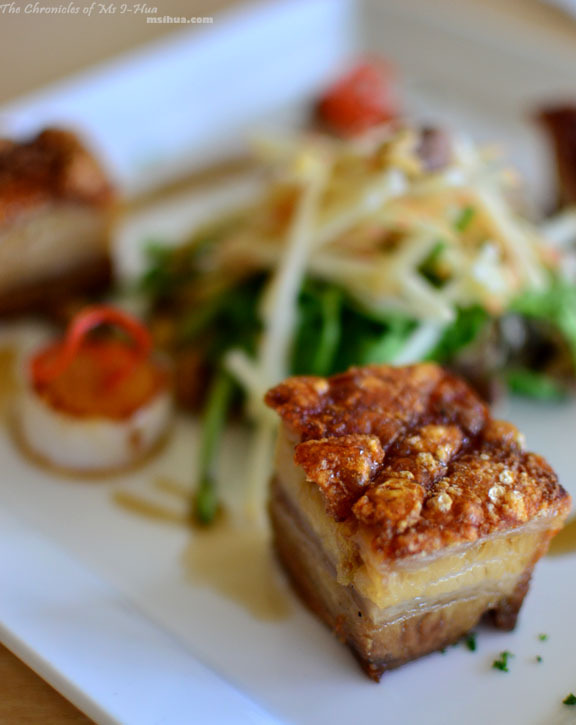 For our mains, we shared between us the Slow Roasted Pork Belly served with Seared Scallops & a Watercress, Walnut and Apple Salad, drizzled with a Sticky Caramel Star Anise Sauce. 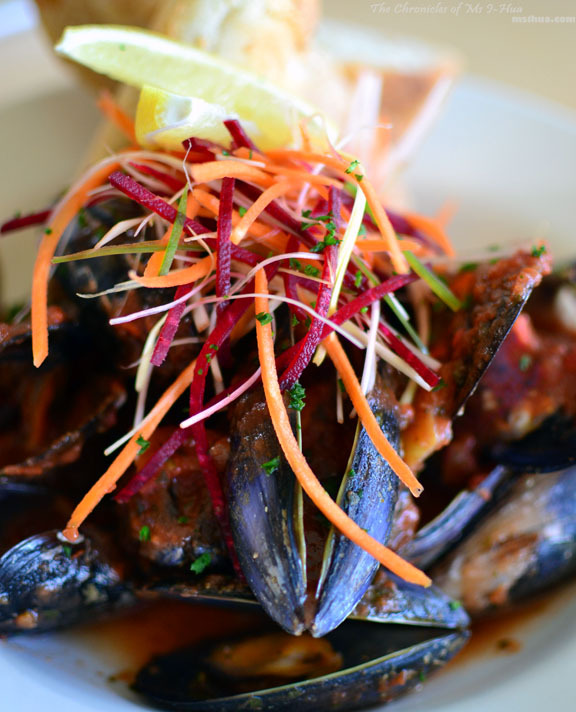 We also had from the light lunch option on the menu, Local Mussels steamed open in a Tomato, Coriander, Chilli & Lemon Broth served with Crusty Bread. I did find this a little on the salty side. 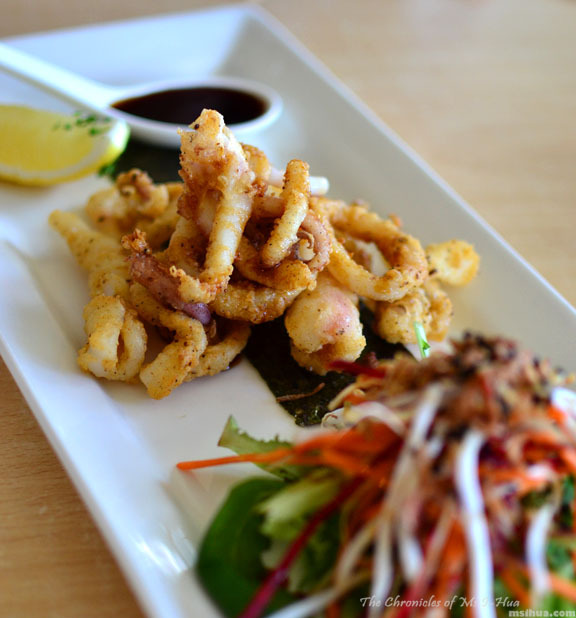 As a team, we decided we needed the Crispy Sea Salt Calamari with Szechuan Pepper & an Asian Styled Salad with Caramelised Orange Soy dressing. The table was split on this dish in terms of the taste. Though I couldn’t help but like the sweet tangy sauce, the rest of the group found it a bit too sweet. 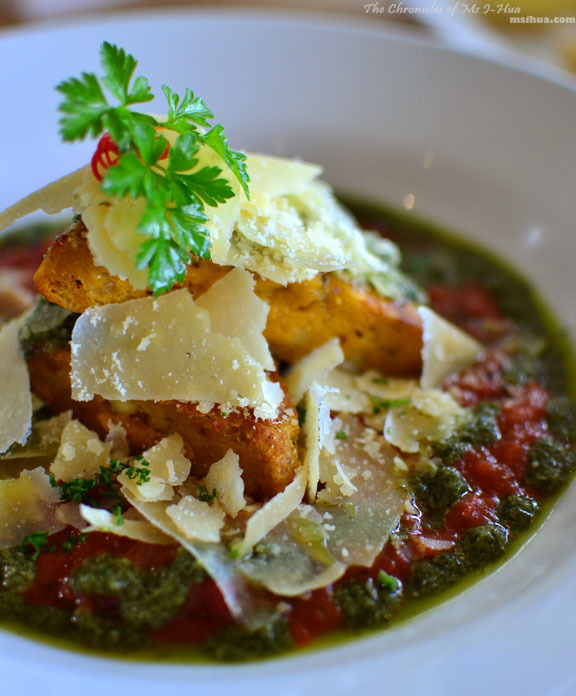 The winning dish of the day for us was the Baked Pumpkin & Feta Gnocchi served with Tuscan Napoli Sauce, Salsa Verde & topped with Shaved Parmesan. Everything was perfectly matched and balanced with this dish. We didn’t stop there. 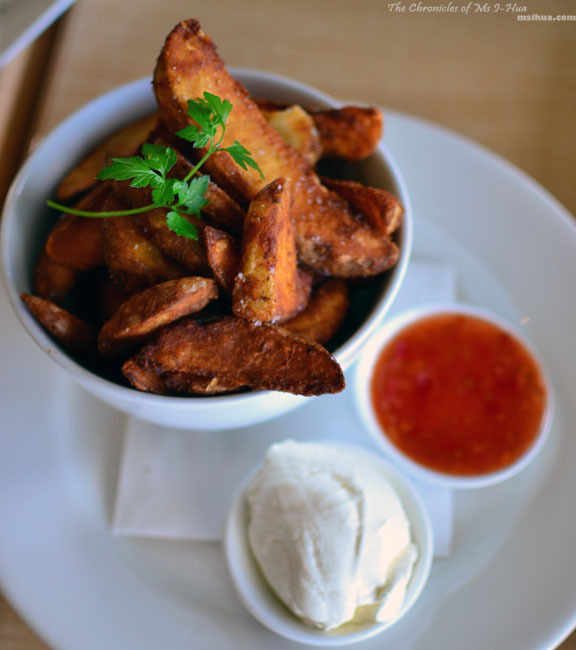 We also had Wedges served with sour cream & sweet chilli. We shared our desserts as we couldn’t eat a proper serve on our own. 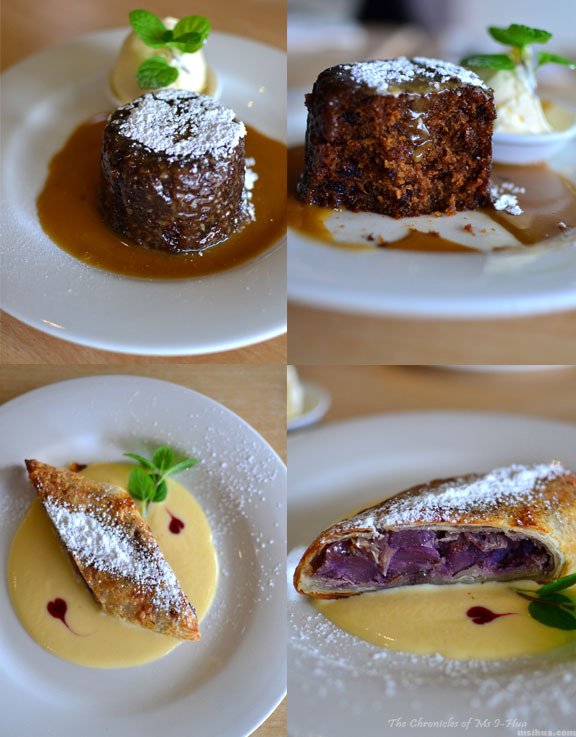 We had the Sticky Date Pudding (delicious) served with Butterscotch Sauce and Vanilla Ice-Cream and from the specials board a slice of Apple & Berry Strudel (scrumptious). Barmah Park is definitely worth a visit if you’re looking to dine at a casual relaxed atmosphere with good food. Now I wouldn’t mind dragging Ricky to the Mornington Peninsula and coming here I want I want I want that STICKY DATE PUDDING! Aiya! So sorry.. but it’s a lovely addiction to have! Angle Babe. THESE PHOTOS OH MY GOD SO BEAUTIFUL. Loving vintage things so much.. our wedding if you noticed was very skewed to vintagey things! The pork belly and salt & pepper calamari looks good and it would be interesting to get your take on how these Asian inspired dishes would go with the wines. Look at all those beautiful autumn leaves! My mum’s obsessed with op shops and would make dad drive her to the country so she can buy more stuff. Not anymore though, dad finally put his foot down and she hasn’t been since. 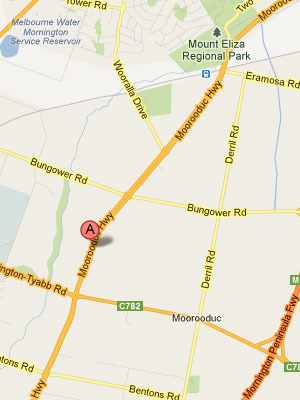 My bf is currently down in Mornington at the moment (having a boy’s weekend). Not sure if they’ll be looking to do anything apart from sitting around at home drinking beer, eating pizza and watching UFC, otherwise I’d be telling them to come here! All the gems are in the right places! I’ve become mad about op shopping too! Although I’m more interested in getting bargain clothes, found a pair of Prada shoes for mummy for $12 the other day! What a beautiful meal though, want to eat all the things!! I know right? Ooooh awesome bargain find!